Hope that comes as you listen to voices joining together to pray the Lord’s Prayer or recite the Apostle’s Creed that begins with the words: “I believe in God the Father Almighty, maker of heaven and earth…” or joining your voice with others as they sing traditional standards such as “Amazing Grace”. Faith that is stirred as you hear the Word of God preached in an easily understood style. Our sermons are biblically based and relatable to today’s world. Love that flows from a congregation who love Christ and His people. Guests are welcomed with open arms by people who are warm and sincere in their beliefs and their desire to include all in worship. Pisgah is a growing congregation of people of all ages and life-experiences. Opportunity to live out your faith with others in tangible expressions of service to others. Maybe it is packing lunches for those in our community who are food deprived, providing school supplies for children, helping to meet the sanitation needs of the homeless or assisting various community ministries in Tallahassee and Leon County, you will be presented opportunities to connect with others in life-changing situations. Relationships have been a part of Pisgah’s life since its beginnings. Whether it is an Adult Sunday School class, Children’s Ministry, our October Fish Fry, November’s Fall Fest, the Christmas Eve candle-light service, community-wide Easter Egg Hunt, May’s Homecoming Celebration or special musical programs at Christmas and Easter, you will always find people who love Christ and each other. Whether you just want to visit or are looking for a church family in a simple setting where the worship feeds your heart and soul-come home to Pisgah United Methodist Church. Pisgah United Methodist Church has been an integral part of Tallahassee and N.E. Leon County for almost 200 years. Birthed by settlers from South Carolina, Pisgah United Methodist Church was constructed soon after they had completed the construction of their own homes. I would invite you to view our History tab to read more of our story. 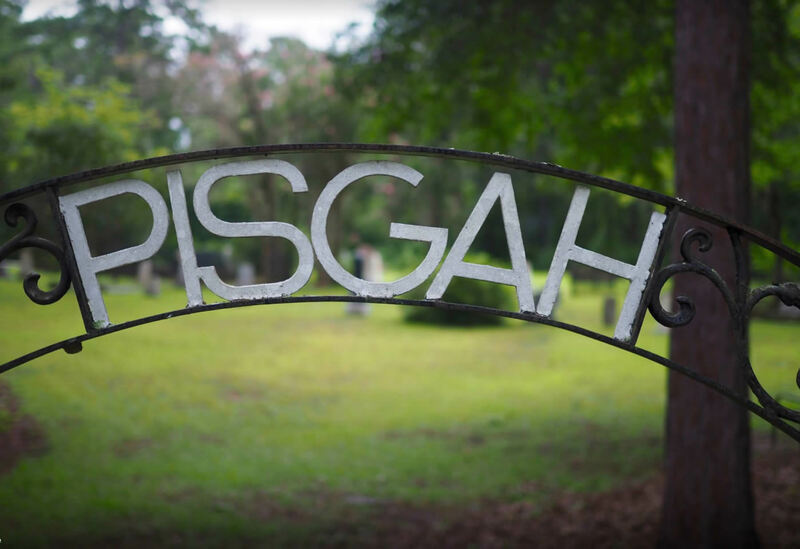 Pisgah is one of the oldest surviving and still active antebellum churches in the country. Like the beautiful live oaks that dot its campus, Pisgah’s roots run deep and have allowed it to endure through the Civil War, two World Wars, the Great Depression, a yellow fever epidemic and various changes in church methodology and worship styles. 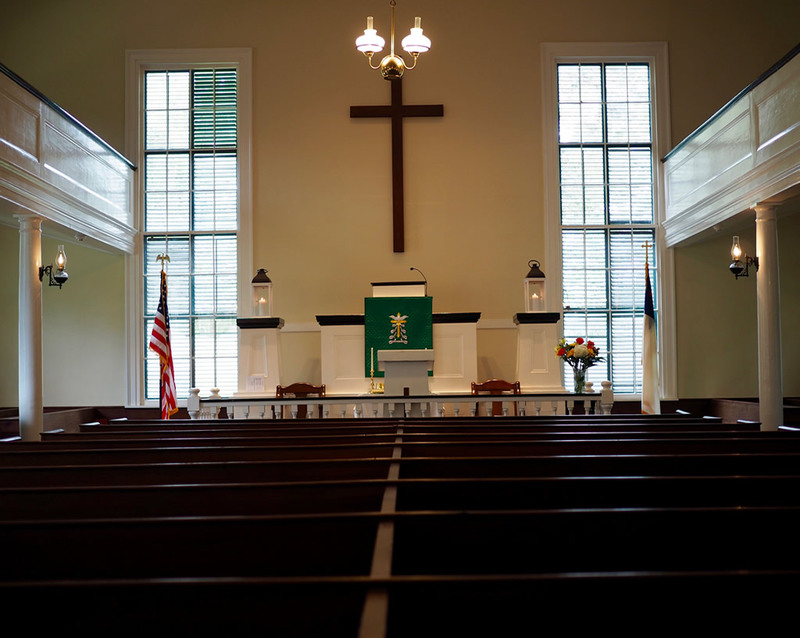 Our sanctuary reflects Pisgah’s heritage and history. The hand-made pine bench pews with simple cushions; hymnals and a Bible in each pew; original oil lamps on the posts and a simple wooden cross over the pulpit. They serve as reminders that there are still places where you can disconnect from the loud bombarding messages of today and have your heart and soul fed.